We really love #hpm chat. And I know a lot of you love it too. It has been a great place to get inspired, learn about a new resource, become enlightened on a different way to look at a problem, and most of all to talk with friendship among #hpm chatters has been nothing short of amazing for the past six and a half years. 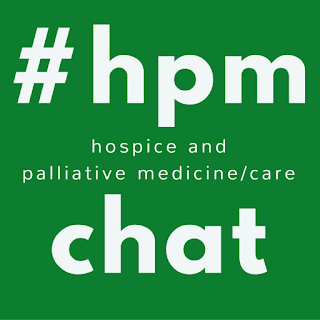 We really love #hpm chat. And I know that a lot of you love it too. It has provided professional and personal inspiration, access to new resources, different perspectives on problems we all face, and the opportunity to talk and build friendships with fellow #hpm chatters. That opportunity has been nothing short of amazing for the past six and a half years. I do want to take a moment to recognize the other moderators that helped us over the years. A big thank you to Renee Berry, Alicia Bloom, Niamh Van Meines, Ashley Deringer and Meredith MacMartin. Our have been great partners and #hpm chat would not have had the impact without your countless hours of volunteer work and enthusiasm to spread the word about #hpm chat. Meredith and I have some ideas on what we may want to do, but it may take some time to ramp up new co-moderators and set our new programming in a sustainable way for volunteers. We may be reaching out to some faithful chatters to get your take on the future of #hpm chat as well, so keep an eye out and follow the @hpmchat account on Twitter. Christian Sinclair, MD, FAAHPM is the co-founder of #hpm chat and current co-moderator.